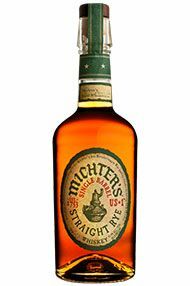 Mitcher’s can trace its roots back to 1753 in Pennsylvania. Master Distiller, Willie Pratt, will not release the whiskey till he thinks it is faultless, even if it has exceeded the age stated on the label. In the pursuit of perfection the barrels are dried for 18-36 months before being toasted and charred with the rye grain itself being sheared to maximise the extraction of flavour. All this leads to a Whiskey with lovely depth, containing notes of spice, citrus, butterscotch and vanilla from the oak. 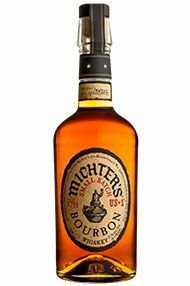 Michter's Distillery based in Louisville, Kentucky, produces this Bourbon of a mashbill featuring the highest quality American corn. The batch is typically composed of no more than two dozen barrels that have previously been aged for more than eight years. This has flavours of toffee, vanilla, smoke and oak leaving a lingering peppery finish.